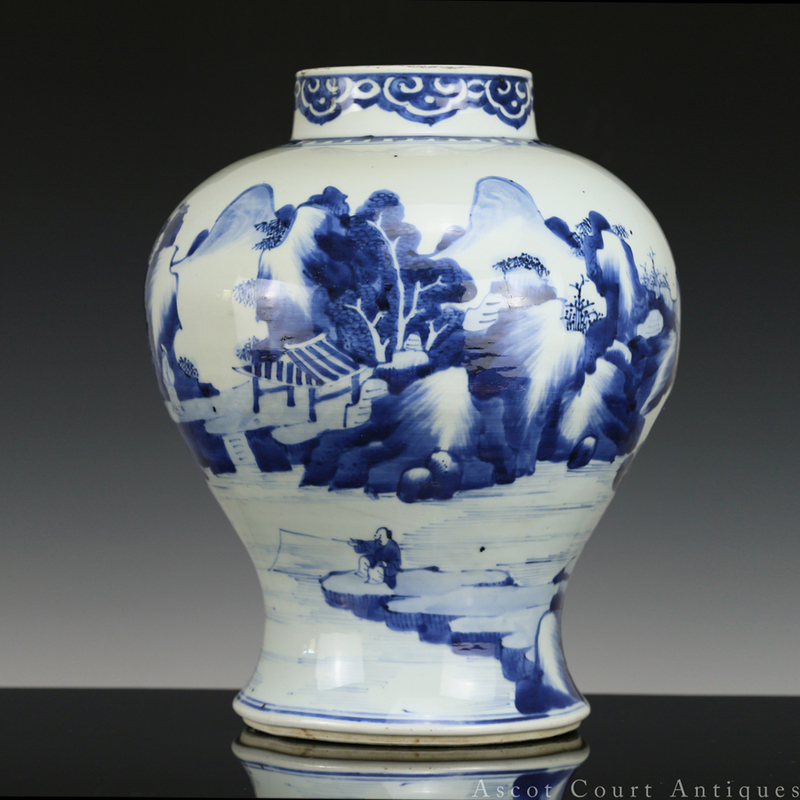 A stunning mid-Kangxi blue and white baluster jar, featuring a panoramic landscape scene painted in a deep cobalt blue, and covered with a luminous clear glaze. 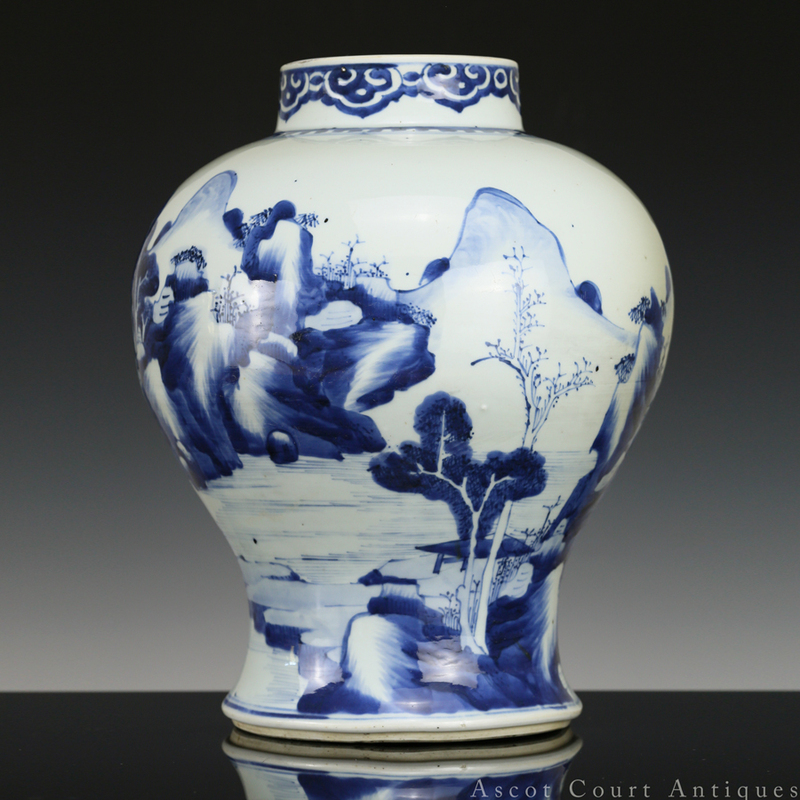 For much of the Kangxi period, non-imperial minyao wares of superb quality were the standard de rigueur. 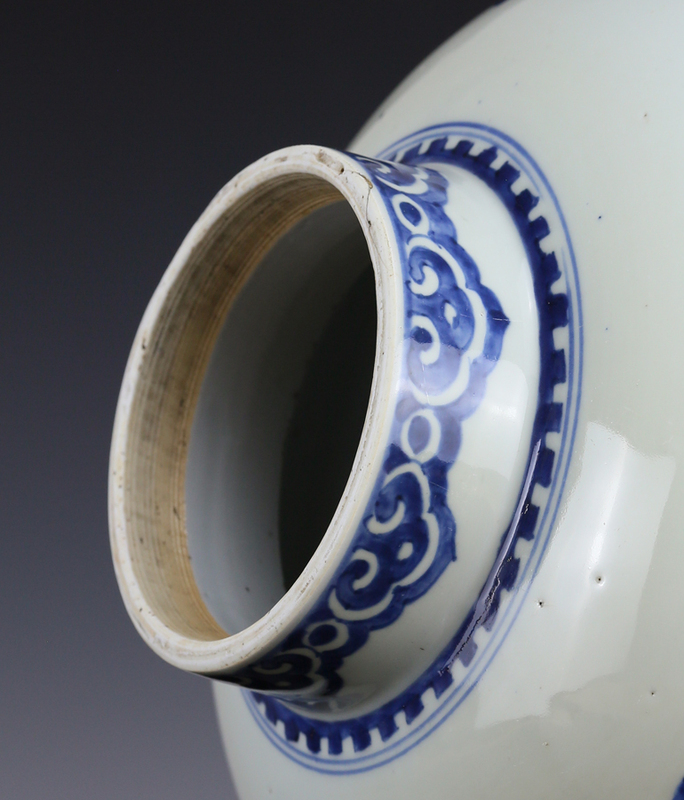 Until 1680, the Qing government was unsuccessful in establishing an official imperial kiln. An atmosphere of lawlessness and unrest persisted throughout most of the 17th century in southern China, where the Ming resistance movement still lingered. The unrest of 1673 was so bad that the Wu Sanggui rebellion nearly burned Jingdezhen to the ground. Nonetheless, potters did what they could between episodes of war and plunder. 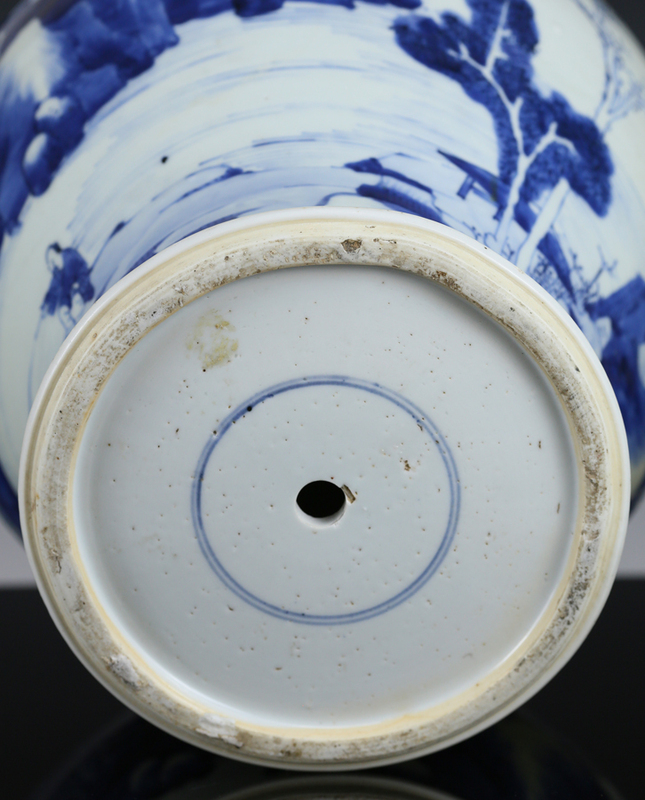 By the beginning of the 18th century, Jingdezhen developed a rich repertoire of glazing and cobalt refining techniques that made possible a wide variety of gorgeous blue and white minyao porcelain. Superior preparation of cobalt ore produced intense blue hues that remained sharp and defined even after firing (unlike the blurry “heap and pile” effect of earlier blue and whites). 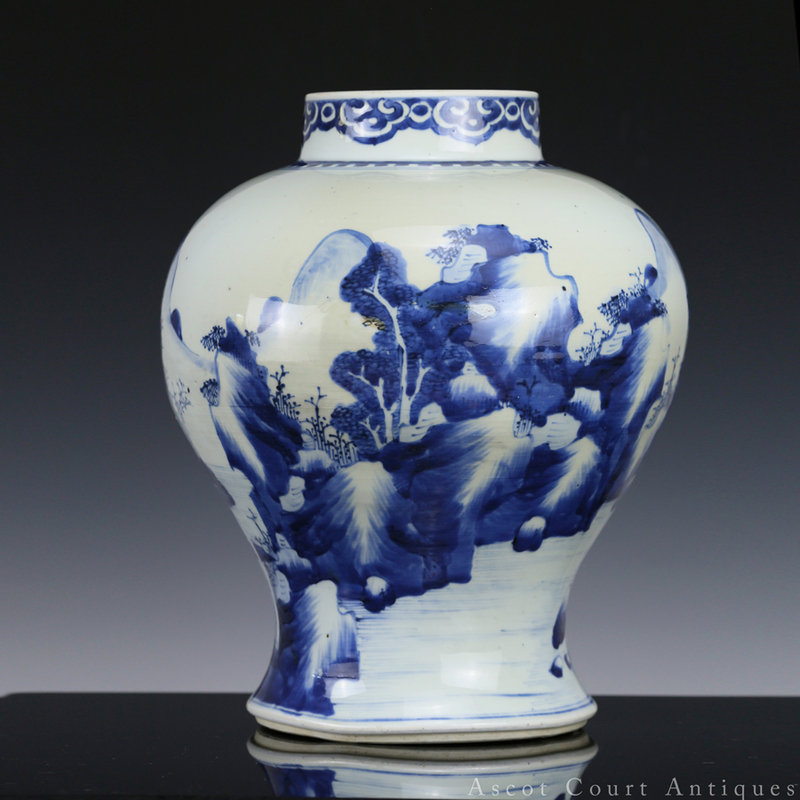 Potters also added calcium phosphate to the original ash-petunse formula to lend the glaze a deeper brilliance. 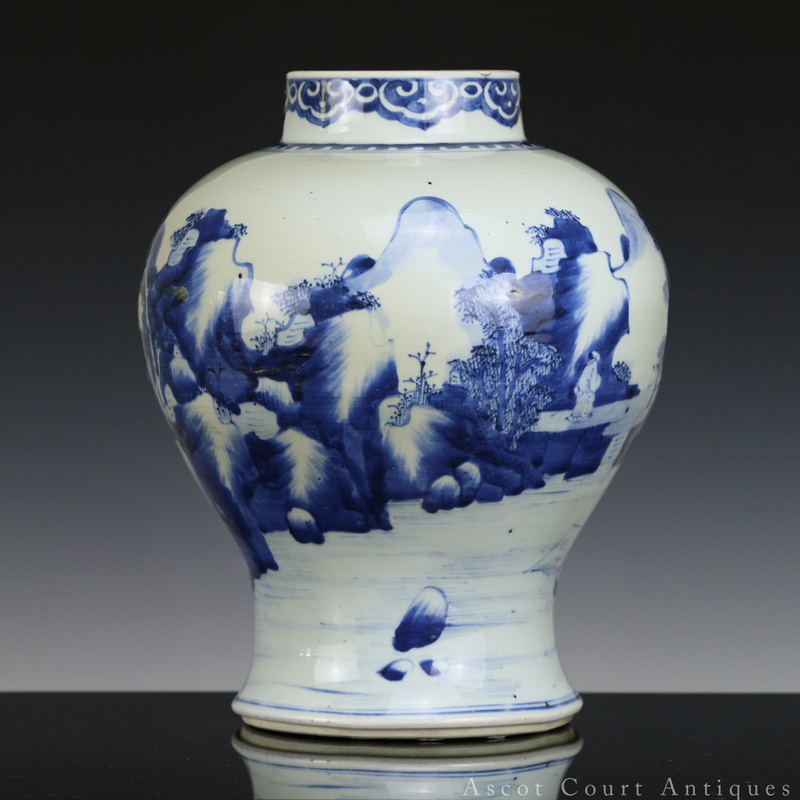 Kangxi minyao porcelain also took on underglaze decoration in the manner of literati shuimo landscapes. 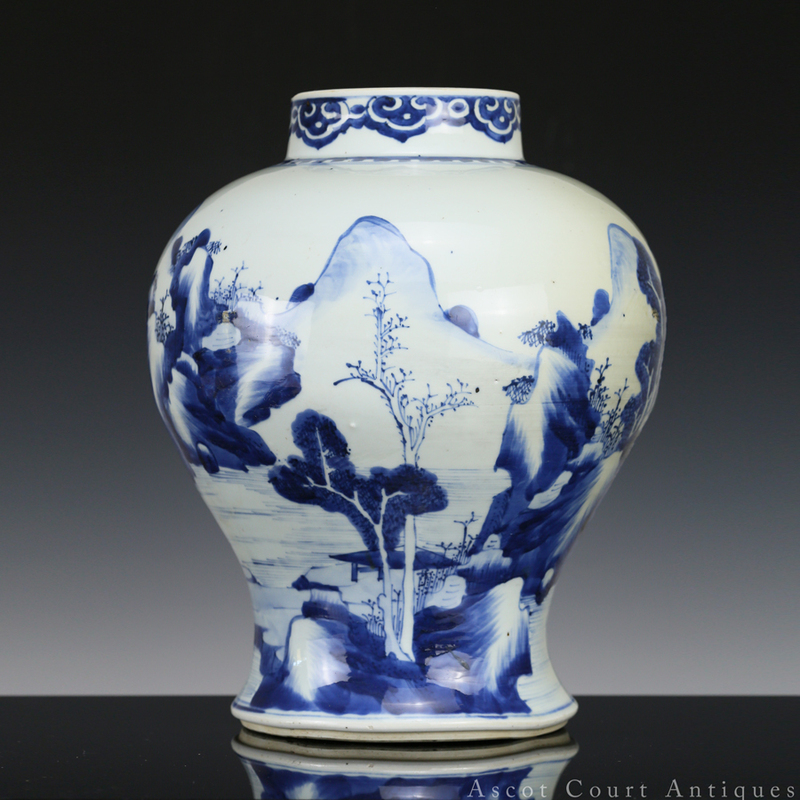 Until mid to late 16th century, decoration on Chinese ceramics tended to take on repetitive patterns, motifs, and symbols. Yet painting decoration such as the one seen on this jar resists against earlier trends with its free, bold, and casual brushwork full of literati sensibility. 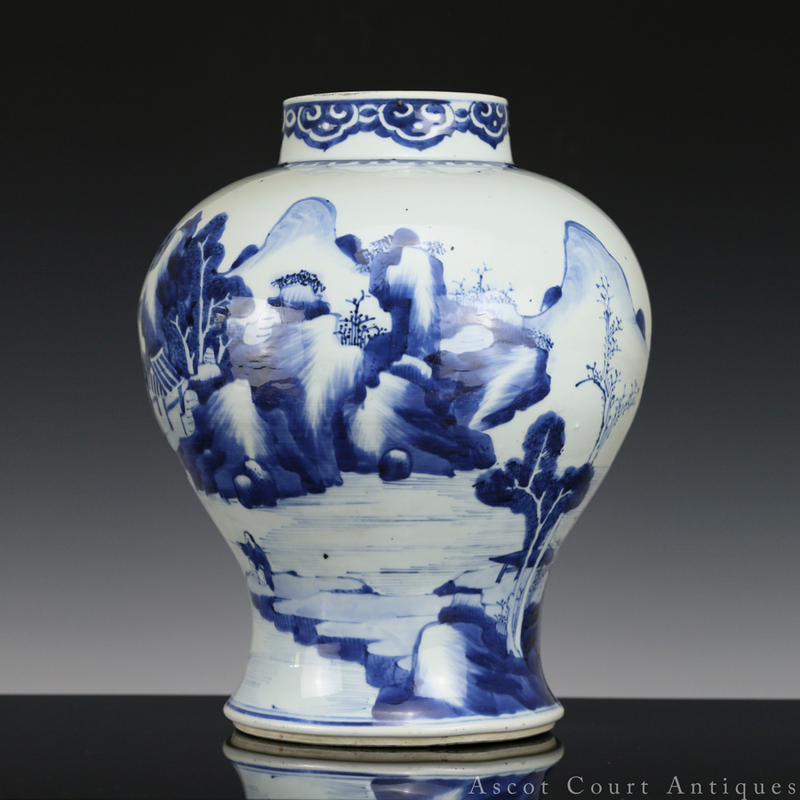 Looking at this vase, one is reminded of the landscapes of Li Rihua, Xiang Shenmo, and Li Liufang.